Model: AC-1000R. Categories: Air, Ceiling-Mounted Electronic Air Cleaner. 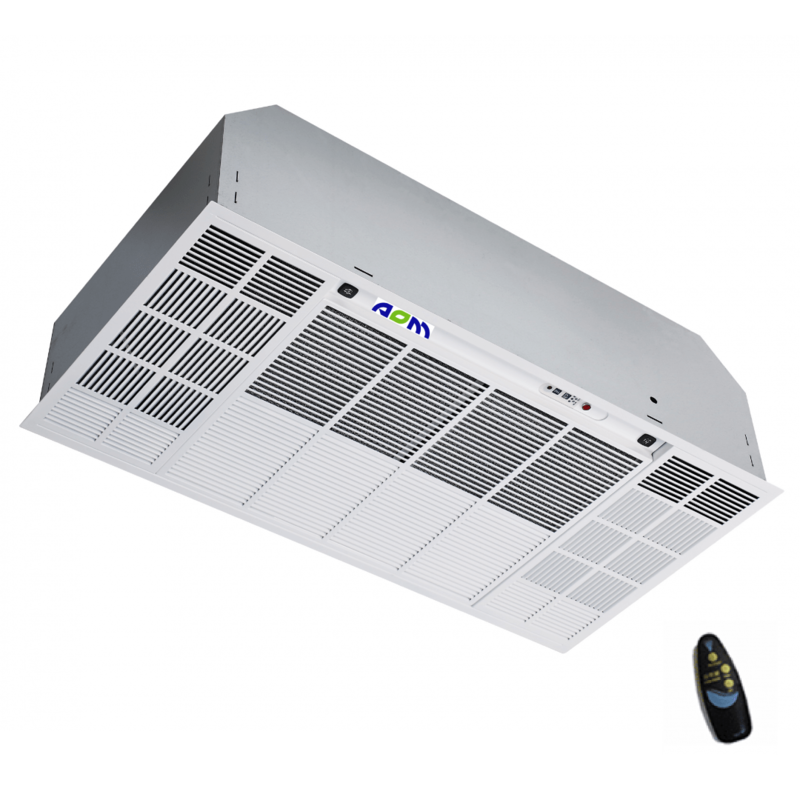 AOM’s AC-1000R ceiling electronic air cleaner can be fitted in all workplace environments. They are extremely effective in removing dust particulates (down to 0.01 micron), dander, fumes, smoke, smell, viruses, bacteria, pollens, and other airborne contaminants that can cause illnesses such as influenza, eye/skin irritations, nasal manifestations, allergies, fatigue etc. The air cleaner comes with air filtration equipment inclusive of Pre-Filter, Electrostatic Precipitation (ESP) Cell, Activated Carbon Filter, Ultraviolet (UV) Light, and Photocatalytic Filter. Its high efficacy and performance allow it to treat impurities and improve the indoor air quality of the premise up to an area of 130 sqm per unit. In addition, this CE-certified air cleaner comes with a remote control for user convenience.